A new Louisville tradition starts this winter. 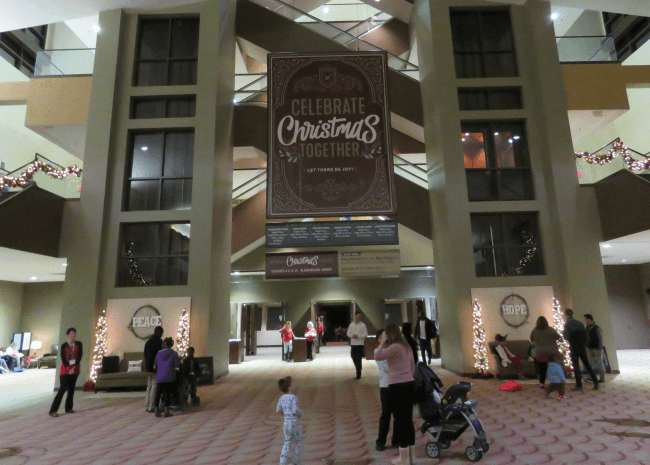 Southeast Christian Church hosts “Celebrate Christmas Together.” This FREE family event runs from December 8 through 15. 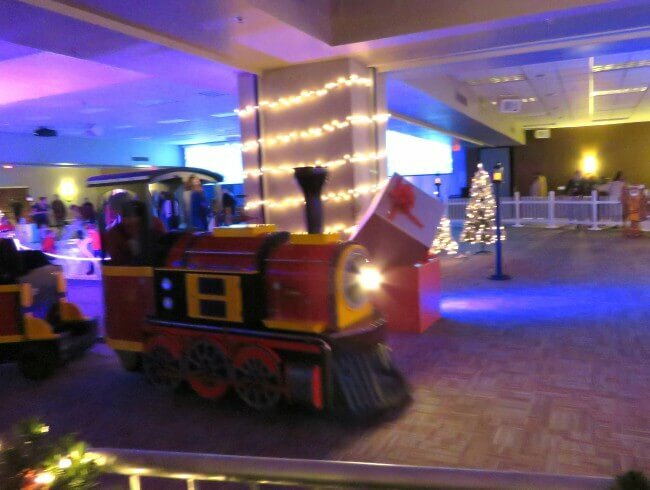 Indoor ice skating, train rides, a Christmas village, lights are more await your family. Southeast Christian knows how to throw a party. This year’s Family Palooza on Labor Day drew over 25,000 people. Everyone is welcome. Whether you are from Louisville, are just passing through, or are looking for a reason to take a road trip, you are honored guests. We attended opening night. I was amazed. It was much more than I had expected. Children played and laughed. Parents watched and smiled. 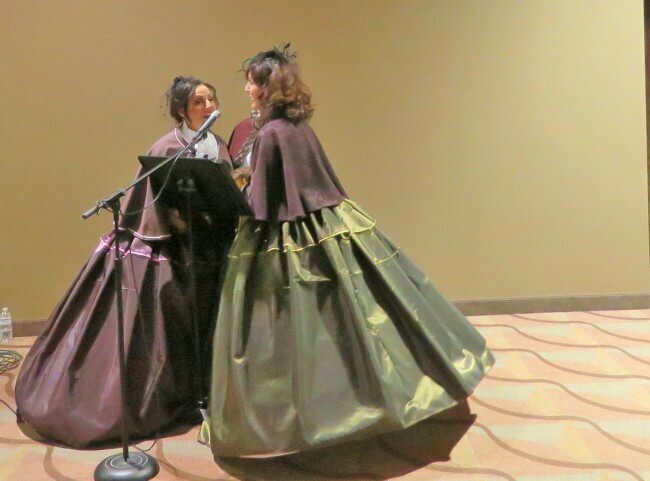 Volunteers dressed in Dickens era costumes sang carols and guided guests. The atmosphere was festive and joyous. Read on for details. You will not believe what you will find cozily inside. 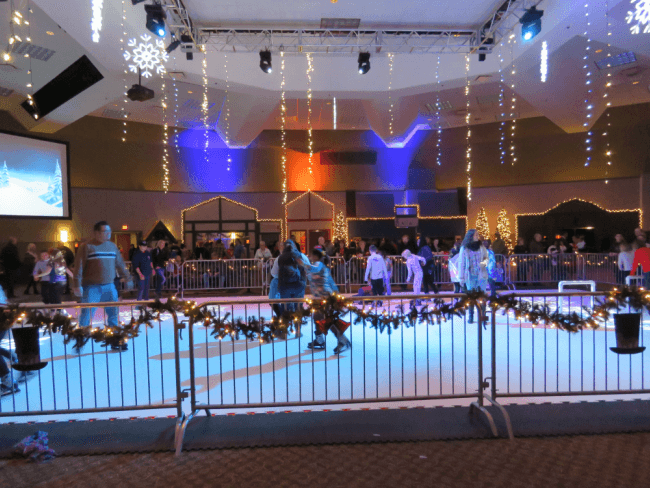 Enjoy skating on one of two indoor ice rinks. Ice skates are provided! The upstairs rink in the Christmas village had less of a line. Have you ever had an indoor snow ball fight? You can here. They manage to make it safe and fun. A train ride, giant color by numbers, crafts, and more thrill children. Teens can shoot pool and play foosball. 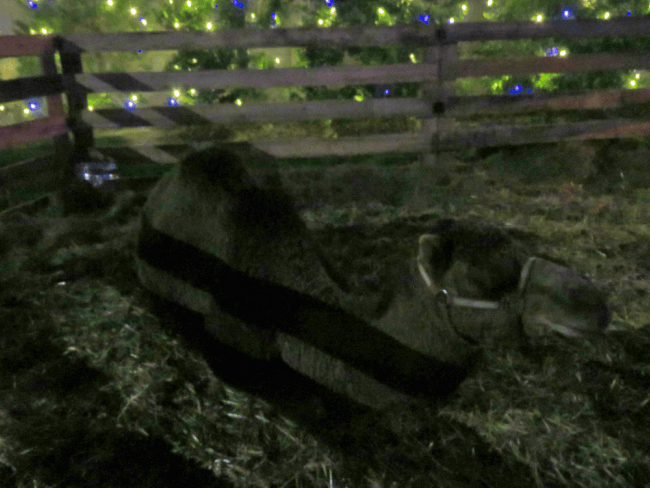 Outside, a live nativity scene and wise men from the East await. 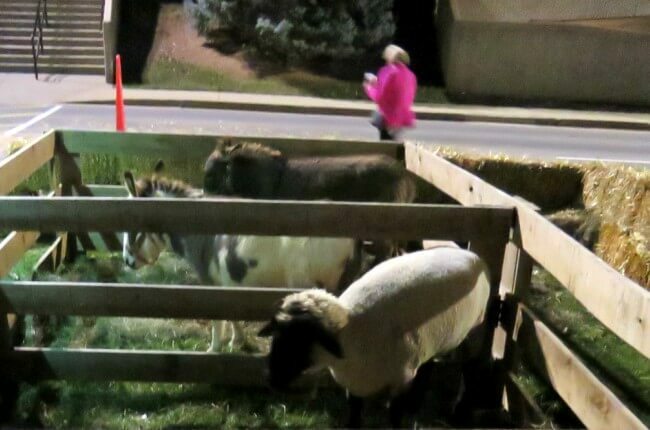 Live donkeys, sheep, and camels complete the setting. 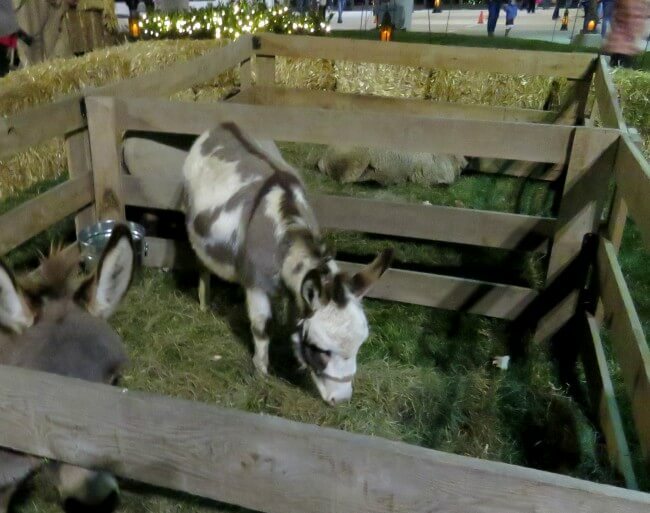 The donkeys are so cute! Do you wish that your Christmas gifts had a little more meaning? In the old-time Christmas village, unique gifts can be purchased. All proceeds go to the mission group selling the items. Scarlet Hope sells delicious baked goods. 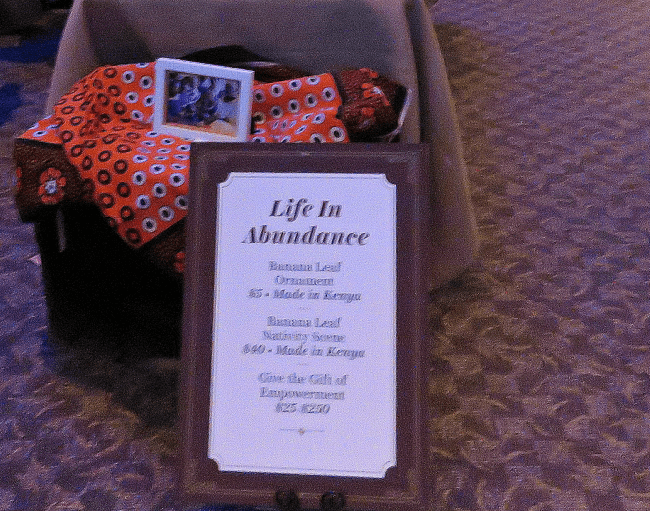 Find beautiful, crafts from Kenya at Life in Abundance. Maya Collection, a part of Refuge Louisville, sells hand-made jewelry, soaps, and textiles. 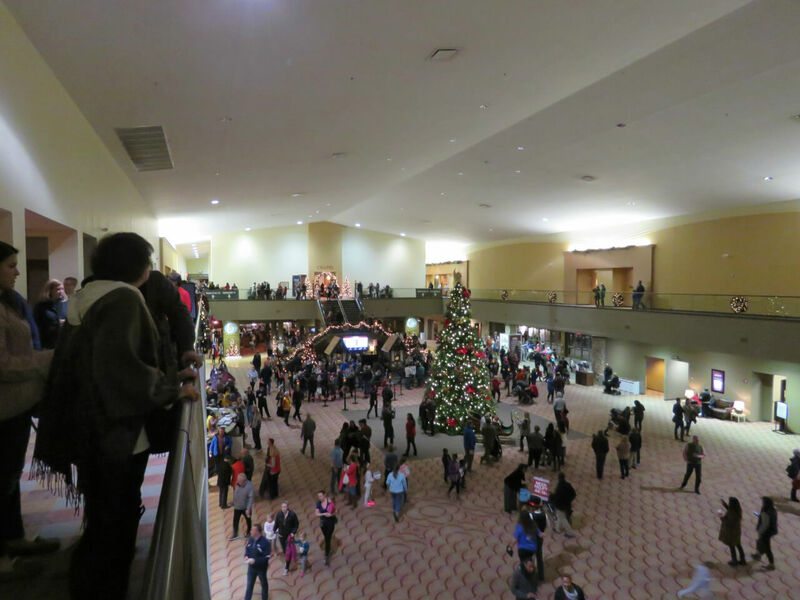 Every night, talented actors and musicians perform a Christmas Musical. While all other activities remain open during the performance, you do not want to miss this. Yes, there is more! 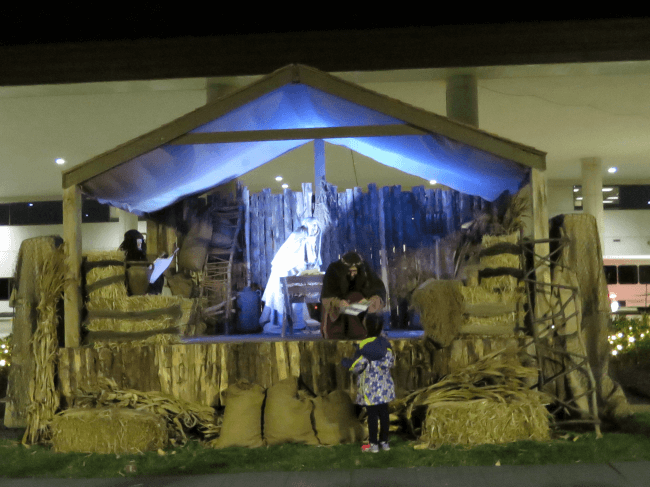 Angels, shepherds, and other characters lead you step by step in an interactive telling of the Christmas story. Christmas carolers roam the halls. Play bingo or arcade games. Have photos taken in the photo booth or do the cake walk. Near the corner of I-64 and Blankenbaker Parkway in eastern Louisville, you cannot miss the huge church with copper roof, topped with a cross. Friday, December 8 from 5 – 10 p.m.
December 10 – 14 from 5 – 9 p.m.
Friday, December 15 from 5 – 10 p.m. Celebrate Christmas Together takes place during dinner time. This is not a problem. A box meal for $4 takes care of this. Choose between a ham or turkey sandwich with chips, a cookie, and bottled water. The coffee shop is also open. Coffee, tea, or cocoa helps keep you warm on a cold winter evening. Disclosure: We have attended Southeast Christian Church when living in Louisville since 1996 and are completely biased. For more to do in Louisville, check out these links.